Academy Award winner, inventor, cultural catalyst, philanthropist, husband and father, Alexander W. Dreyfoos is truly the definition of a Renaissance man. Most know Dreyfoos as the driving force behind the creation of Palm Beach County’s cultural jewel, the Raymond F. Kravis Center for the Performing Arts. What many are unaware of is the reason behind his philanthropic and volunteer board member duties. “Basically I wanted an arts calendar to hand to my electronic engineer employee prospects, while in town for interviews, so that they could get some idea of what was going on,” Dreyfoos said. He was instrumental in the formation of the Cultural Council (formerly called Palm Beach County Council of the Arts) in 1978, the county’s first multi-tiered arts organization, and served as first chairman from 1978-1980. Dreyfoos is unofficially the genius behind Palm Beach county’s thriving cultural landscape. Born in 1932, Dreyfoos is Chairman and owner of ‘The Dreyfoos Group,’ a private capital management firm, which grew out of the success of “Photo Electronics Corporation,” a company Mr. Dreyfoos formed in 1963 to manufacture electronic equipment for the photographic industry and from the sale of his controlling interest in television station “WPEC TV-12,” the CBS affiliate in West Palm Beach, Florida, which he owned for twenty-three years from 1973 to 1996. Mr. Dreyfoos holds a B.S. degree from the Massachusetts Institute of Technology (M.I.T.) (1954) and an M.B.A. degree from Harvard Business School (1958). He is an inventor, holding ten U.S. and numerous foreign patents in the fields of electronics and photography. In 1970, the company received an Academy Award from the Academy of Motion Picture Arts and Sciences for its development of a motion picture video analyzer. The company also invented the “LaserColor Printer,” which produced extremely high quality, electronically generated color prints from color slides that were marketed as “LaserColor Prints.” Read the NY Times abstract here. From 1977 until its sale in 2004, The Dreyfoos Group owned and operated The Sailfish Marina, a marina-restaurant-motel in Palm Beach Shores, docking one of the largest charter fishing fleets in South Florida. Beginning in 1978, he spearheaded efforts to build a world-class performing arts center in Palm Beach County and continues to serve as chairman of The Raymond F. Kravis Center for the Performing Arts, the $67 million (largely privately financed), 2,189-seat multipurpose facility that opened fully funded in September 1992. The Board named the Concert Hall in Mr. Dreyfoos’ honor. In the fall of 2003 the Kravis Center completed a $31 million expansion. Mr. Dreyfoos remains a lifetime member of the board. Mr. Dreyfoos is a Life Member Emeritus of the M.I.T. Corporation (Massachusetts Institute of Technology). He formerly served on the M.I.T. Visiting Committees for Electrical Engineering and Computer Sciences, and the Media Laboratory/Media Arts and Sciences where he served as chairman for nearly a decade. The “Alexander W. Dreyfoos Building” at M.I.T., designed by Frank Gehry, was dedicated in May 2004. Professor Pattie Maes of M.I.T.s Media Lab is the holder of the Dreyfoos Chair. In 1997, Mr. Dreyfoos made the largest private contribution ever made to a public school in Florida, when he pledged $1,000,000 to support Palm Beach County’s public arts magnet high school, which was subsequently named for him. The Alexander W. Dreyfoos School of the Arts attracts artistically talented students from all walks of life and offers concentrations in communications, dance, music, theatre and visual arts. Admission to the school is by audition. Recent graduates have been accepted at Harvard, Juilliard, M.I.T., Princeton and Yale to name a few. Each year since 2005, Newsweek has rated the school among the 60 best public high schools in the country (out of 1,200 rated). In 2011, it was ranked at number 40. In February 2004, Mr. Dreyfoos was elected to the Board of Trustees of the La Jolla, California-based Scripps Research Institute (TSRI). Having received grants totaling more than $500 million from the state of Florida and Palm Beach County, Scripps has built a major (360,000 square foot) bio-medical research campus in Jupiter that opened in February 2009. The entrance lobby was name in honor of Renate and Alex Dreyfoos. In October 2004, Mr. Dreyfoos was made a fellow of the American Academy of Arts and Sciences. Mr. Dreyfoos formerly served as a Governor-appointee to the Florida Council of 100 and was a founding member, director and former chairman of the Economic Council of Palm Beach County. He is a founding member of The International SeaKeepers Society; an active member of the Chief Executives Organization and the World Presidents’ Organization; and a former member of YPO. For 7 years, until reaching the age for mandatory retirement, Mr. Dreyfoos served on the board of FPL Group, Inc. (NYSE-NEE). 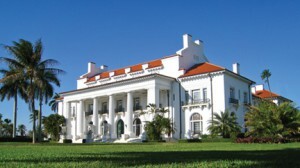 In December 2006, Mr. Dreyfoos was elected to the Board of Trustees of the Henry Morrison Flagler Museum. He has received numerous distinctions for community involvement. Among them, The Palm Beach Post: Business Leader of the Year (1980), Man of the Year (1992) and their centennial recognition of the 100 people who “changed the way we live” (1999); Palm Beach Chamber of Commerce Board of Directors Special Award (1985) and One and Only Award (1992); Nova University’s Entrepreneur Hall of Fame Award (1991); Florida Master Entrepreneur of the Year Award from Ernst & Young and Merrill Lynch (1992); Palm Beach Atlantic University’s American Free Enterprise Award (1992); Northwood University’s Outstanding Business Leader Award (1994); Florida Atlantic University’s Entrepreneur of the Year (1996); Junior Achievement’s Inaugural Business Hall of Fame Award (2001); American Diabetes Association Valor Award (2005); M.I.T.’s Marshall B. Dalton Award (1997) and the Bronze Beaver Award (1997). In May 1999, Lynn University bestowed upon him an honorary doctorate of science degree. In January 2006 The Woodrow Wilson International Center for Scholars of the Smithsonian Institution presented Mr. Dreyfoos the Woodrow Wilson Award for Corporate Citizenship. In May 2006 the Kellogg School of Science and Technology of The Scripps Research Institute bestowed an Honorary Doctor of Science Degree on Mr. Dreyfoos. At a luncheon held at the Kravis, on March 23rd 2007, celebrating 27 years as Chairman of the Kravis Center, Mr. Dreyfoos was presented with proclamations from the Palm Beach County Commission and the City of West Palm Beach declaring March 23rd 2007, Alexander W. Dreyfoos Day. In addition the mayor presented him the key to the City of West Palm Beach. In November 2008 Mr. Dreyfoos received the Lifetime Achievement Award from the Association of Fundraising Professionals. 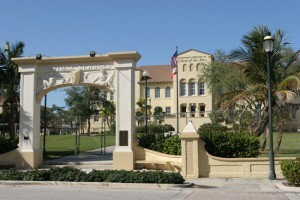 In 2011 Dreyfoos was named one of 42 Centennial Ambassadors (as one of those who has done the most for the Town of Palm Beach during its first century) as part of the Town’s centennial celebration. At M.I.T. he was a member of Sigma Alpha Epsilon fraternity. He and his wife, Renate, live in West Palm Beach, Florida, and spend their summer months in the Adirondack Mountains of New York State when not on their boat Silver Cloud. His daughter, Cathy, a widow, and her two adult children reside in Tampa. Son, Robert is married and raising a family in Seattle; he is a Lead Program Manager at Microsoft. His two sons are in college, the eldest at Gonzaga University in Washington and the youngest at M.I.T. Mr. Dreyfoos’ interests include yachting, (In May 2010 the Dreyfoos’ received the Boat International World Superyacht Voyager’s Award in conjunction with their recently completed 44,000 NM, 19-month odyssey aboard Silver Cloud), flying (he holds an ATP pilot certificate with jet aircraft and turbine helicopter ratings and has logged over 5,000 hours as pilot in command), photography, scuba diving, ham radio (K4BDM), freshwater and deep-sea fishing and ocean sailboat racing (as navigator). His club memberships include the New York Yacht Club, and the Sailfish Club of Florida (Palm Beach). He is a member of the First Unitarian Church of Palm Beach County and The National Society, Sons of the American Revolution.